During the Los Angeles Auto Show, Nissan will bring a touch of colour to your subcompact car; from now on, customers will be able to choose some unique colour accents for their Versa Note hatchbacks. On our side of the border, the Colour Studio program is already available on the Micra and the Juke; you can add some mirror covers and stickers, as well as door handles painted in flashy colours. 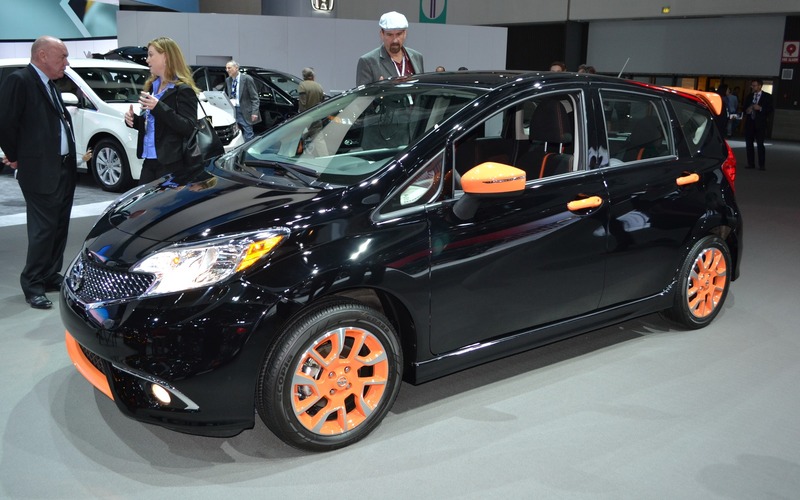 On the Versa Note, customers can choose to change the colour of a wide variety of interior and exterior parts. For example, the lower lip, door handles, mirror covers, rear spoiler and even the wheels can be painted in a different colour, a choice between white, black, red, purple, orange and fake carbon fibre. The interior can receive unique air vent bezels and speaker covers, as well as door cards and a dashboard appliqué. We will see the full range of modifications during the auto show.